It never fails to amaze me how the act of travel can so dramatically reshape the framework of your entire world, so quickly and so decisively. We loved every second of our time in Taipei, invigorated by the urban environment and the bustle of busy people living their busy lives, but it also felt safe, like a place we once called home, and we could ultimately only take comfort in that state of being for so long before the unceasing call to adventure beckoned us out into the unknown once more. 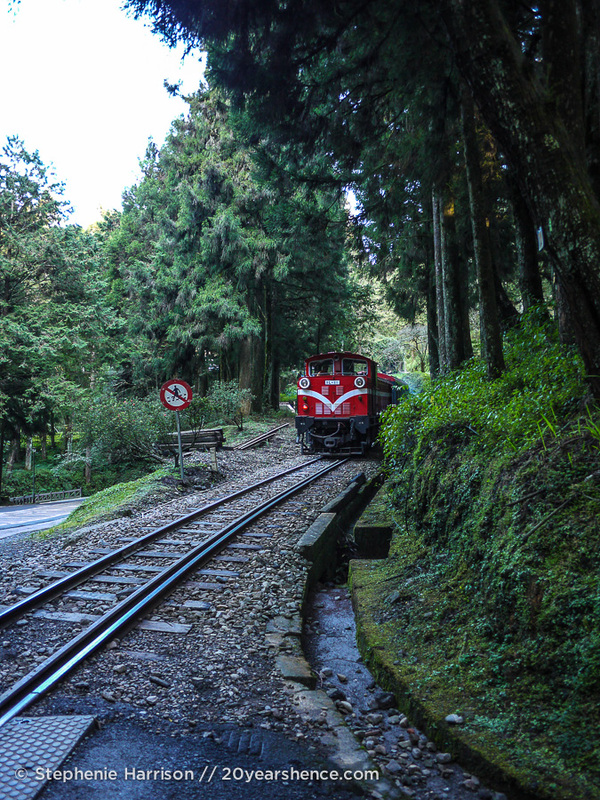 Our goal is the Alishan National Scenic Area where we will spend a couple of days lost in the heart of nature. 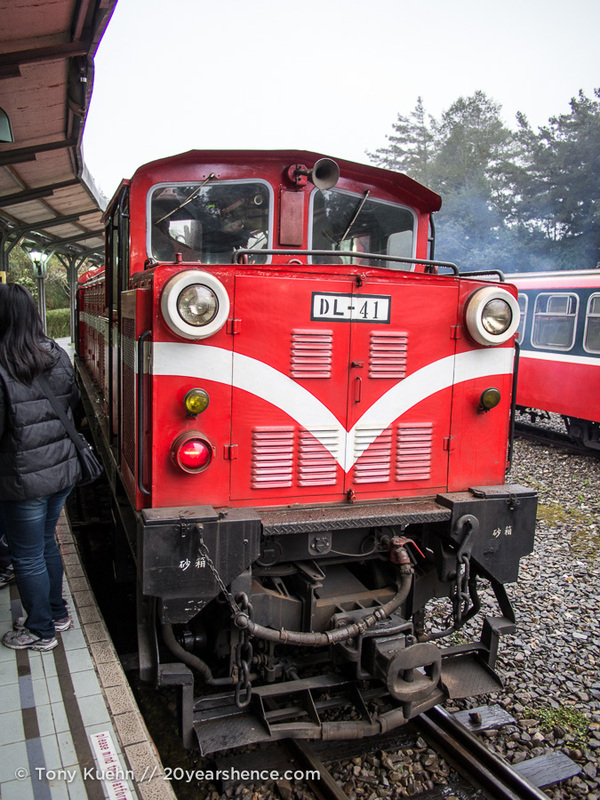 A few years ago, we would have caught the scenic Alishan Mountain Railway from Chiayi for a 3-hour journey through towering cedar forests that makes trips on the Hogwarts Express look downright mundane. Alas, the typhoon that devastated Taiwan’s west coast in 2010 took out large segments of the tracks for this journey and after years of legal and financial battles, it has finally been decided that the repair costs are not economically viable. Add this to the ever-growing list of things once of this world, but now no longer. So, instead we dodge a rather insistent tout (our first instance here in Taiwan) and catch a blinged out bus that shuttles us to the park. It’s not quite as intrepid as catching a narrow-gage locomotive, but the ride to the park is sufficiently stunning and dramatic that our sulking soon gives way to wonderment. Having spent the past week experiencing our first spate of cold weather in nearly a year, it has slipped our mind that Taiwan is in fact a tropical country; seeing palm trees lazily clustered amongst sky-grazing conifers gives us a mild case of geographical whiplash and our sense that we are being conveyed (however unromantically) to a place where the fantastical is made real only heightens as we hungrily gaze out the window. Coming from the U.S. & Canada, it is almost unfathomable to us how dramatically the world around us has changed in just a few short hours: Gone is the never-ending drizzle and a landscape painted in monochromatic gray. Now we look out onto undulating mountain peaks in a world presented to us in Technicolor once more. In the amount of time we have taken to get here, we would still be driving through our old state of Tennessee if traveling from east to west back in the States. So, alighting in Alishan is really more like tumbling through the back of a wardrobe into a fantastic new world than it is like stepping off a bus. 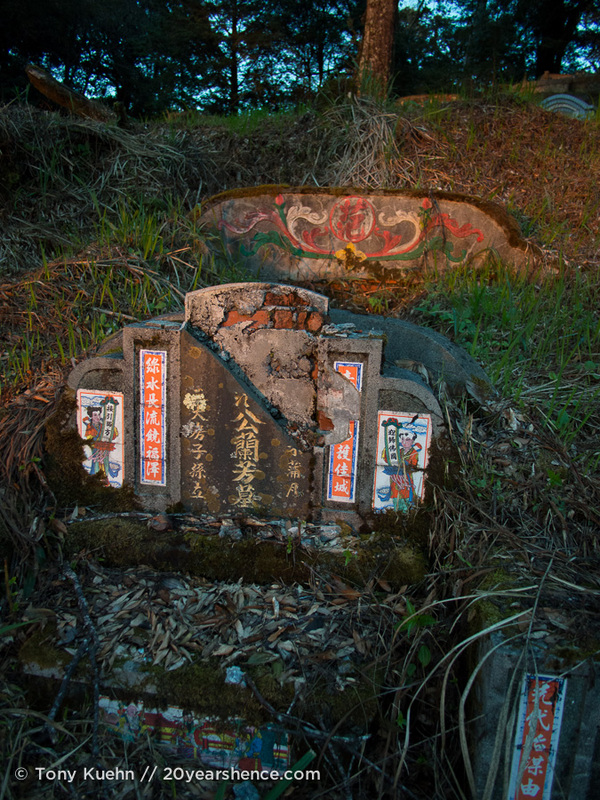 It is a place that seems more likely to be found in the pages of fiction having been carved from an author’s imagination rather than just 6 hours south of Taiwan’s capital city. As in all good novels, the heroes need a guide, someone who knows the lay of the land, and in our case, our amazing CouchSurfing host back in Taipei, Jackie, has arranged for the owner of the guesthouse we will be staying in (which Jackie found and booked for us, naturally) to meet us at the bus stop. We have been warned that our host speaks not a word of English, which seems only fair as we speak about two words of Chinese and Taiwanese (in large part thanks to Jackie! ), and given that we don’t actually know the name of where we are staying (everything we have is written in indecipherable Chinese characters), we are prepared for things to get interesting. 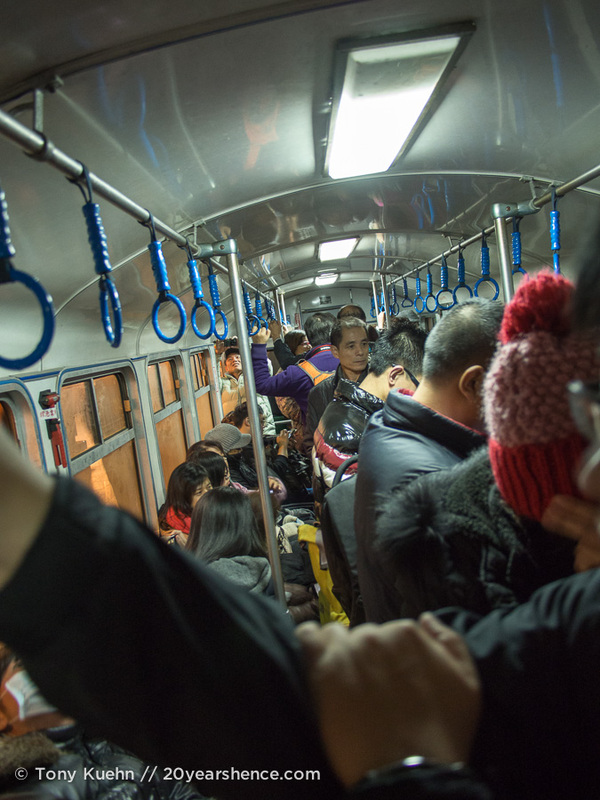 Miraculously, our host finds us without any issue, though the fact that we are the only non-Asian people getting off the bus likely helps a good deal; we definitely do not blend in. We runt out of good luck—though thankfully not our host’s good will—here, because he truly speaks zero English. Thankfully, four months on the road have taught us the international language of pantomime, and this in combination with Google translate and our well-worn Chinese phrasebook (thanks for that, mom & dad!) 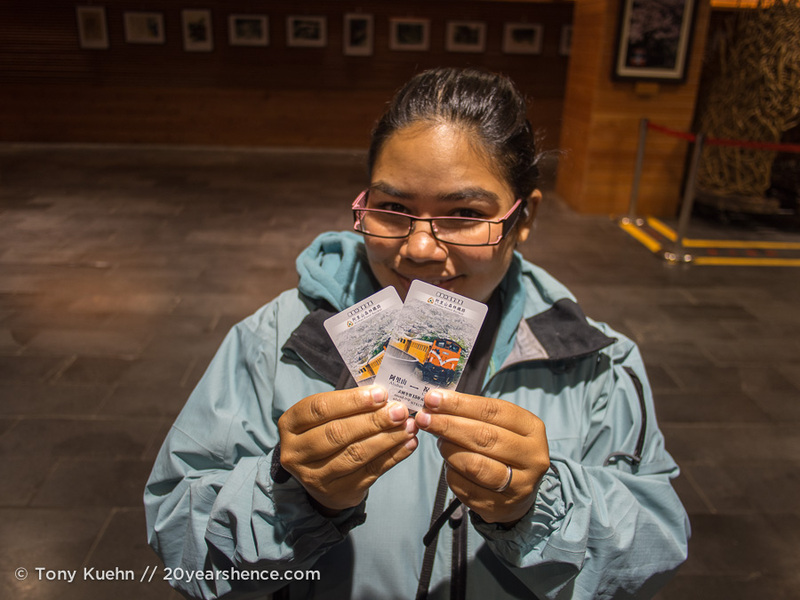 means everything gets sorted out in the end, including the fact that our wakeup call will be at 4:45 the following morning so we can attempt to catch the famous sunrise over Yu Shan, Taiwan’s tallest mountain. This is one of the main reasons we have come to the park, so as much as I wish this were a translation error, I resign myself to the cruel and unnatural start to tomorrow. 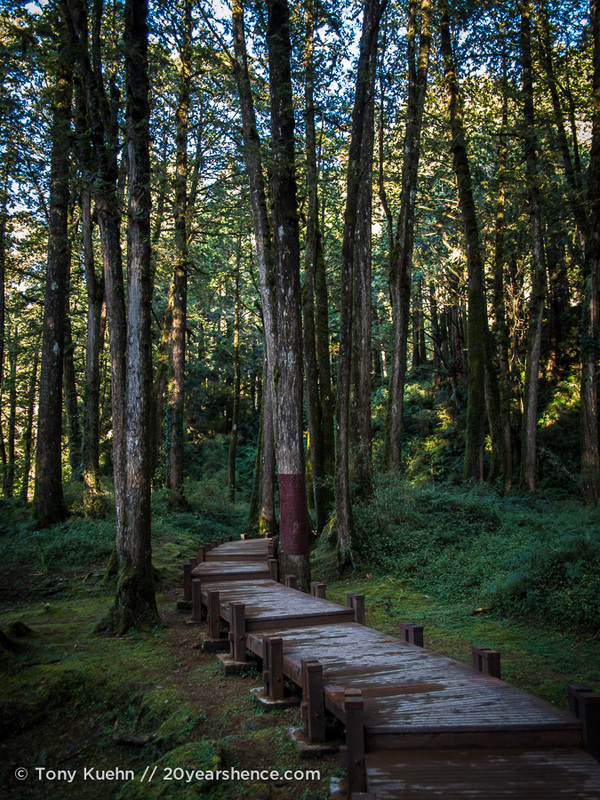 Having spent most of the day in transit and with daylight waning, we want nothing more than to crawl into bed immediately, but we also want to make the most of our time in Alishan, so we decide to do the loop hike outlined on the tourist map. Our host ushers us to the gates to the park, and after scoring ourselves student discounts (using Tony’s driver’s license no less!) on our passes, we begin our walk in the woods. The first kilometer of our hike is not exactly untouched wilderness, as much of the path is lined with ongoing construction, but pushing on, we are soon rewarded with some serious natural beauty. 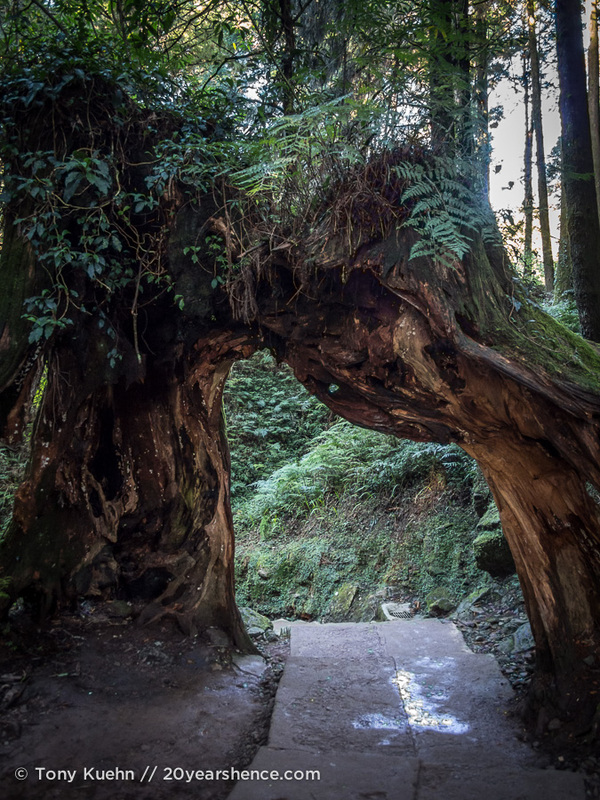 It’s late enough in the day that for the most part, we wander alone through ancient forests of massive cedars that make us feel like teeny tiny hobbits or whatever the Japanese equivalent of hobbits might be. 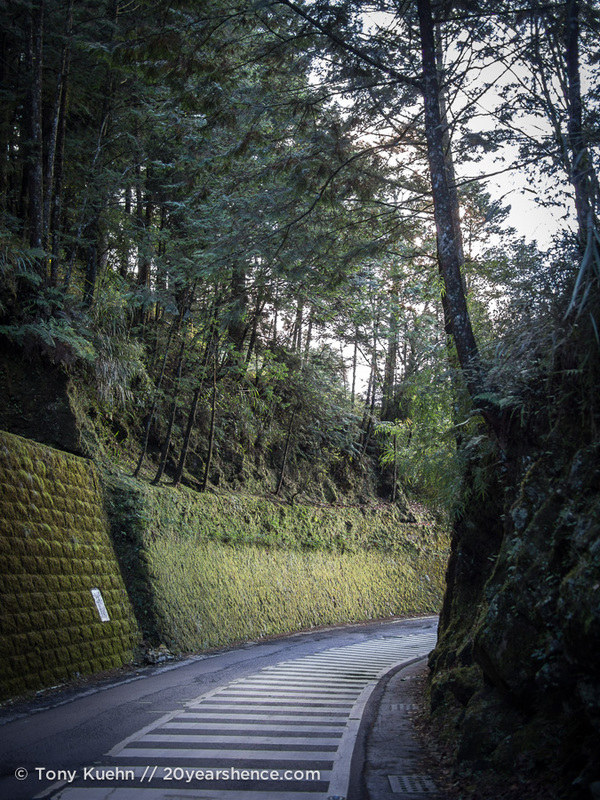 Because Alishan definitely feels like something we might have encountered in Japan, though mercifully the weather is nicer and the hikes between points of interest are shorter too (and the distances accurately signed… imagine that!). 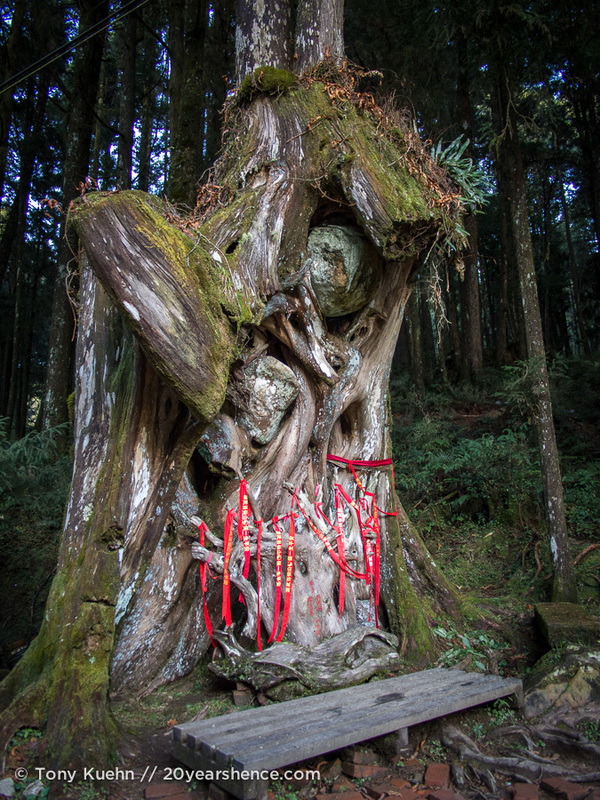 Even deep in the woods of Alishan, we cannot escape the cuteness that it now seems is truly engrained deep into the fiber of this country. Signs direct us to tree stumps that have been named in that fanciful fashion Asians have, so we gaze upon “Happiness from the Golden Pig” and “Forever One Heart”. Despite the florid names, we have to admit that the names are actually remarkably accurate and require far less squinting and suspension of disbelief than we have become accustomed to. Look carefully at the left portion. You can see pig ears, the whole thing. Uncanny! It’s a heart. That is all. 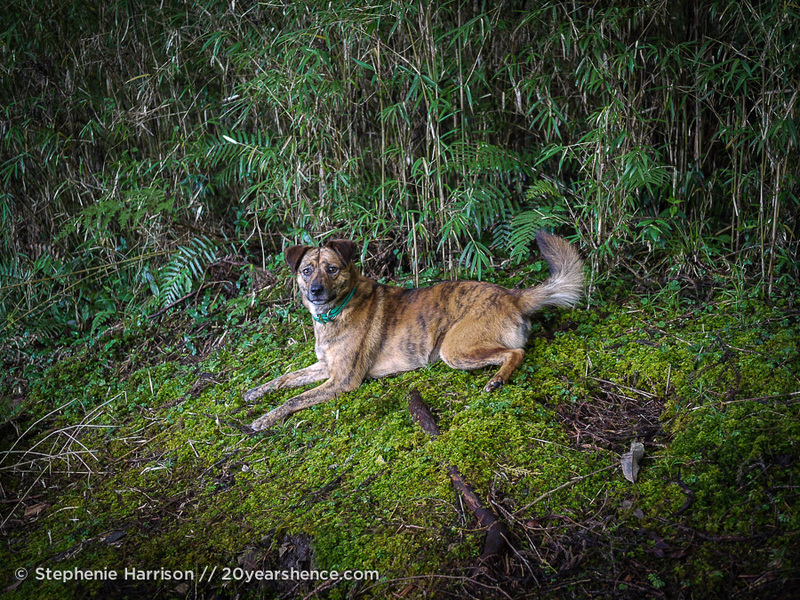 The adorableness doesn’t end there, as we are led along the winding path to the gorgeous “sister ponds” by a spritely tiger-striped dog, who gambols about the trail, trotting up to us for the occasional pet before capering off after sticks we toss in an impromptu game of fetch. Upon reaching the ponds, we collapse in a pile of giggles and grins before taking advantage of the light to shoot some photos; with the sun hung low in the sky, we are now in the perfect golden hour. We make our way across a stream and through a dell, humming the “Shire song” from the Lord of the Rings films. What can I say: Sometimes we’re the biggest geeks. 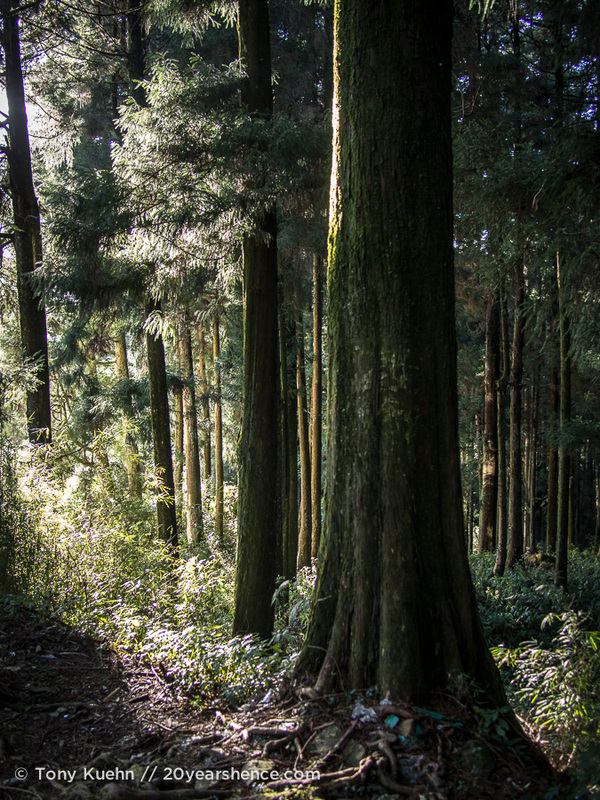 Also, Alishan National Scenic Area has such a perfect beauty it hardly feels real at times. Though the park feels quaint and intimate, it also seems too magical to be part of this world. Walking through its loveliness, I breathe deep and simply feel happy to be alive. The entirety of Alishan is lovely, but by far the highlight is visiting the Cloud Sea. We had read about this place previously, but had chalked the name up to Asian hyperbole. But really, once we see it, we agree that the only thing to call this mountain-ringed valley filled with clouds is exactly that: a cloud sea! 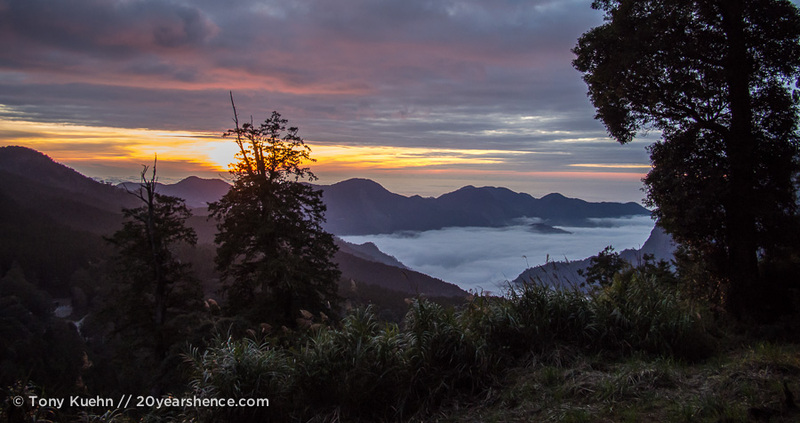 Now we’ve seen some really incredible things on our travels, but I have to say, watching the sun set over Alishan’s Cloud Sea is probably one of the coolest things I’ve seen to date. To be perfectly honest, I’m at a loss for words when it comes to trying to describe the sheer wonder and joy I feel watching the colors of the sky deepen and dance across the froth of the clouds. Staring out at the Cloud Sea, I am struck with the thought that surely this is the place where you bundle your dreams up and then set them free in little boats to sail across the clouds, in the hopes that when they moor on future shores, they will take root and become real. 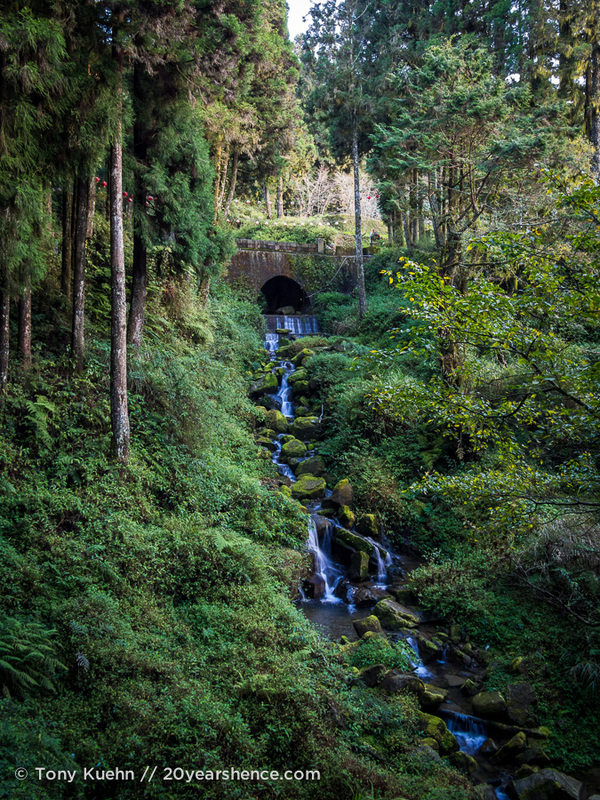 In that moment, any regrets about not getting to take the train up to Alishan melted away, because this sight alone made the entire trip completely worthwhile. If you ever find yourself doubting that magic can exist in the world, come here and your skepticism will shatter. 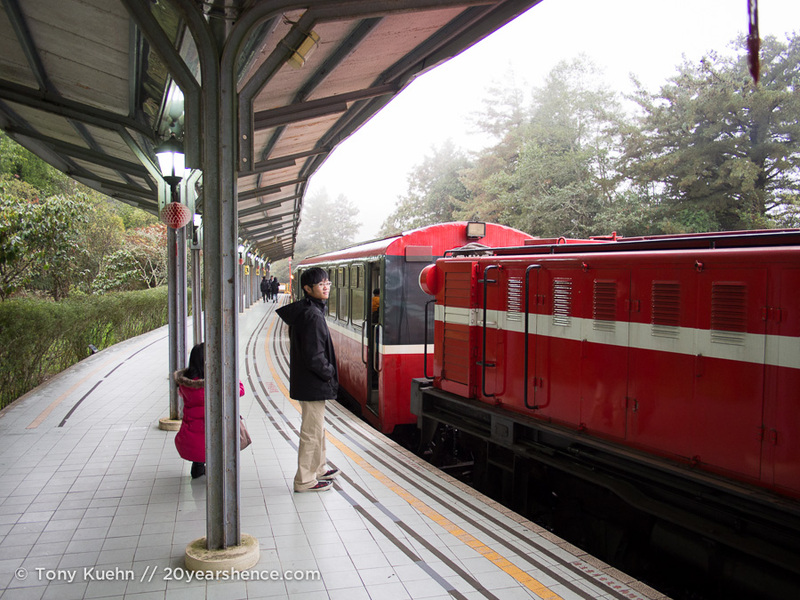 The following morning, we get up well before the sun and make our way to the train station to catch the train that runs along the short section of track that has been restored and that hauls passengers up to the top of Chu Shan to watch the sun rise. 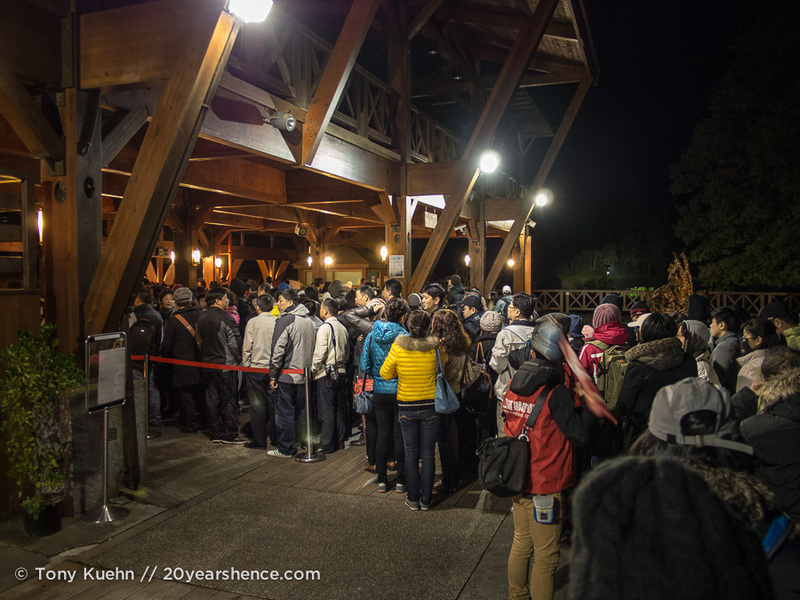 It’s possible to hike up to the peak, but we’re determined to ride at least one train, even if that means braving the hoards of humanity (largely comprised of mainland Chinese tourists) in order to do so. And given the number of fellow sunrise seekers on that crammed train with us, I do believe that “brave” is really the only word for it. Sadly, although the sun surely rose that morning as it does every day, we didn’t get to witness much as the view was obscured by thick cloud coverage. As a result, all we really got to witness was the outline of the craggy mountain peaks slowly become more distinct, a bit like we were watching pigment seep across a watercolor painting. By the time it was clear the sun was fully awake, we had little to show for our vigil other than being drenched and cold. Not the ideal capper to our time at Alishan, but what Mother Nature giveth she can also taketh away and you’ve just got to accept that. 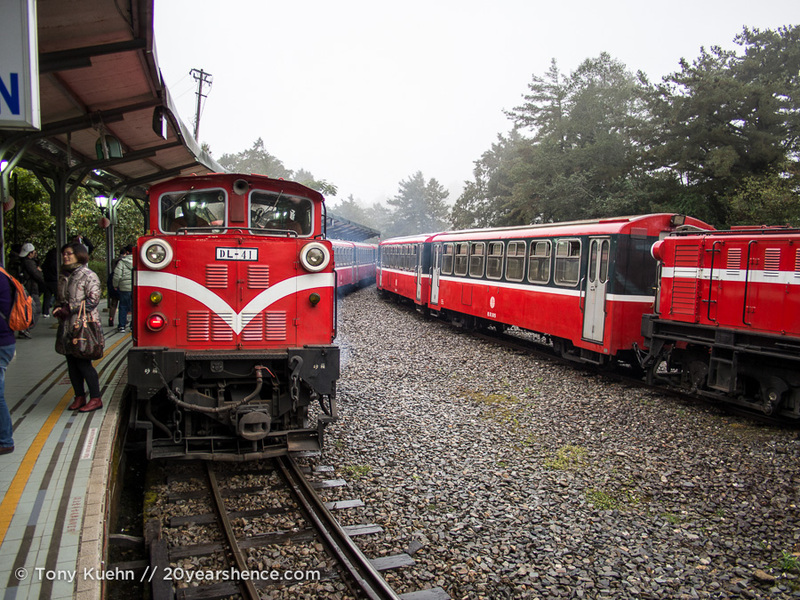 It’s safe to say that we loved our time at Alishan, although we have heard some people grumble about how it is overly visited and too crowded with Chinese tourists. We certainly experienced its overwhelming popularity during our anticlimactic sunrise quest, but other than that, we pretty much had this very pretty swath of land to ourselves so I think those complaints are probably a bit overwrought. Truthfully, if there was any downside to our visit it was only that we wanted to explore the surrounding areas more than we were able to—our research turned up several nearby towns that sounded really cool such as Fenqihu, Ruili, Xiding, Lijia and Shizuo; unfortunately, these would all have been a quick, cheap, and easy train ride back when the Forest train was running, but with that now out of commission, you really need your own set of wheels to visit them. Taiwan definitely has some incredible cities, but maybe—just maybe—its countryside is its most spectacular feature. Every so often on this trip we encounter places so gorgeous, so wonderful they make my heart feel impossibly full and even make me reconsider whether I am irretrievably a city girl for life. 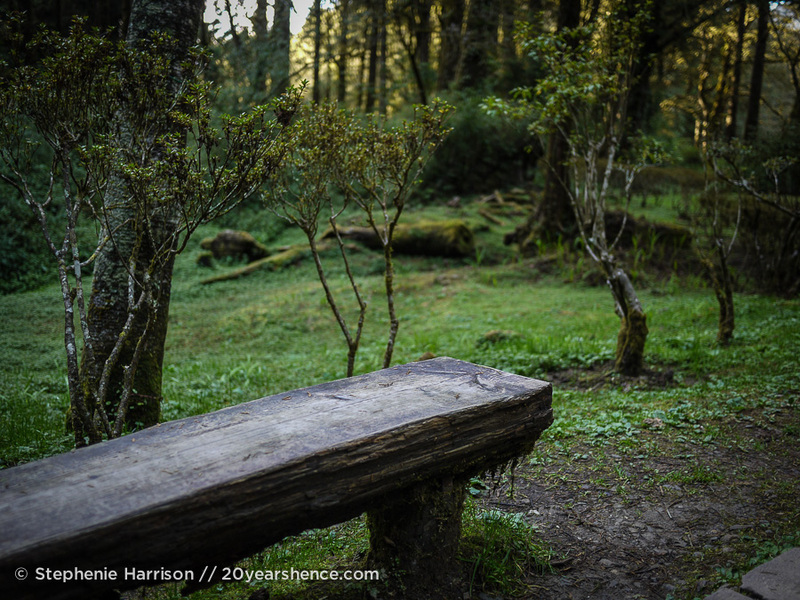 Alishan was absolutely one of those places, and given my feelings about hiking, that is high praise indeed. The images of the cloud sea are breathtaking so I can only imagine how amazing those views must have been in person. I have yet to visit Taiwan, and these photos are showing me a side of Taiwan I don’t hear much about. I think our photos are pretty darn good, but there really is nothing like seeing the cloud sea with your own eyes. I was honest-to-goodness stunned speechless. 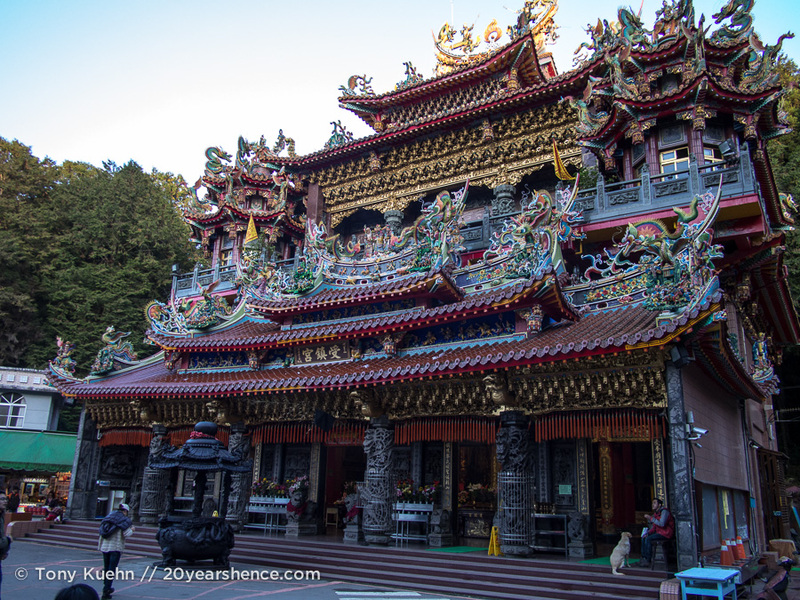 There is SO MUCH that is awesome in Taiwan, I can’t figure out why more people are not flocking there! Wow, just breathtaking. That shot over the cloud sea is absolutely spectacular, I can’t imagine what it was like to see it in person. Every so often on this trip we see something that so completely knocks my socks off that I actually say out loud, “Oh. This is the coolest thing I have ever seen.” The cloud sea was absolutely that! Taiwan is great. I think it just gets ignored because it sounds like Thailand and it’s the “other” China and people just don’t think to go there. But then when you show up you realize it has everything anywhere else in Southeast Asia has to offer, but with 80% fewer tourists. OCDemon recently posted..You crazy kids and your plush party hostels! China = New Communist Culture where civilians were forced to give up tradition or die. 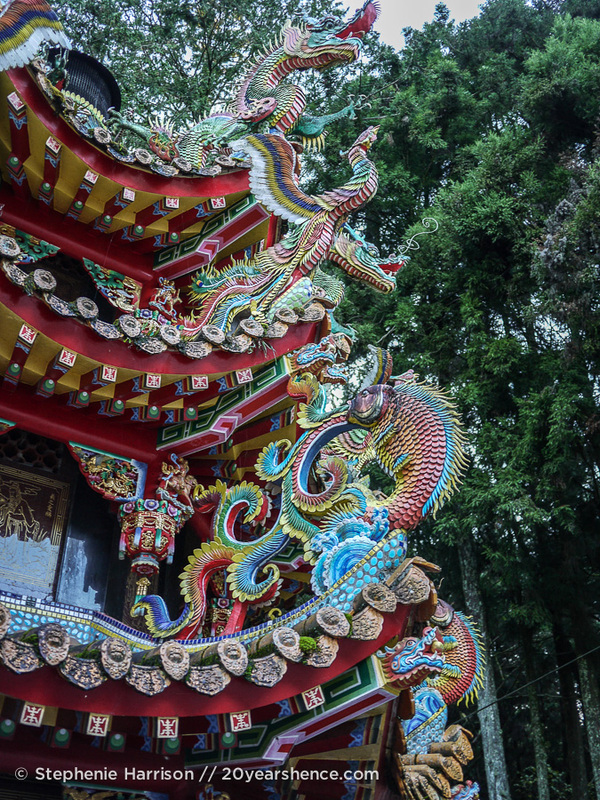 Taiwan = Perserved Traditional Chinese culture with a hint of Japanese. If you want real Chinese culture, Taiwan is the place to experience it. Beautiful pictures, Steph. You successfully made me miss home and the oil fried rice that’s stuffed in real bamboo only available in the village on Alishan. @ OCDemon: Yes, we actually had someone tell us that he thought Taiwan was boring because it was just “another China” and didn’t have a distinct culture of its own. We could not have felt more differently and it still amazes me that such a great country is so greatly overlooked by so many! @ Frank: Completely agree! We secretly refer to Taiwan as “good China” to each other… I tell everyone that if they want to see all the good bits of China without the bad, they need to just go to Taiwan because it was so much better. I wish we had known about this bamboo rice at Alishan, though! That sounds delicious! The terrain in Taiwan just changes so dramatically, I think. Even though the country is so small, it’s like everything you would ever want to see, any climate you’d ever want to experience is all rolled up into one. Which is awesome. Thanks, Nicole! I think the diversity of the terrain over such a small area is part of what makes Taiwan so awesome! It’s true you get a lot of variety back in the States and Canada, but you generally have to cover a lot of distance to see such dramatic changes as you do in just a few hours in Taiwan. That forest looks absolutely magical. I could explore in a place like that for weeks! 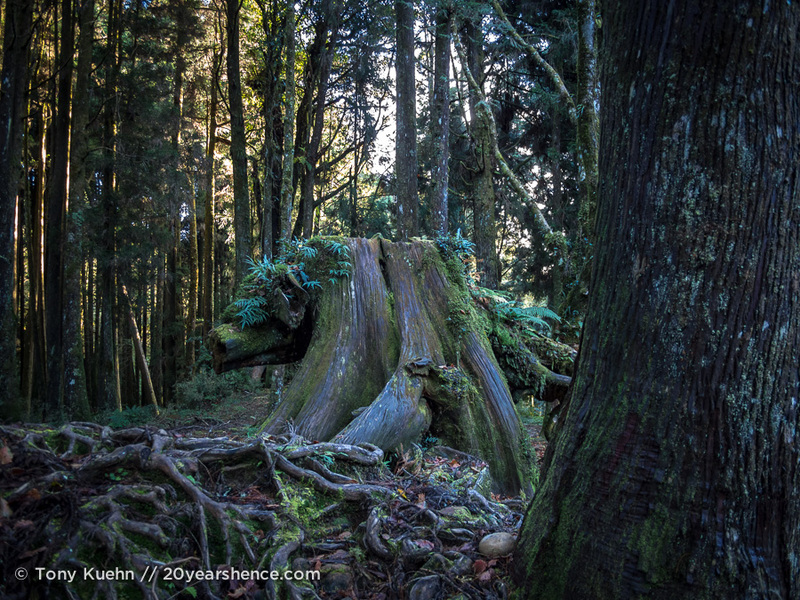 I’m dying to go hiking in some lost enchanted forest now! Thanks for the inspiration. 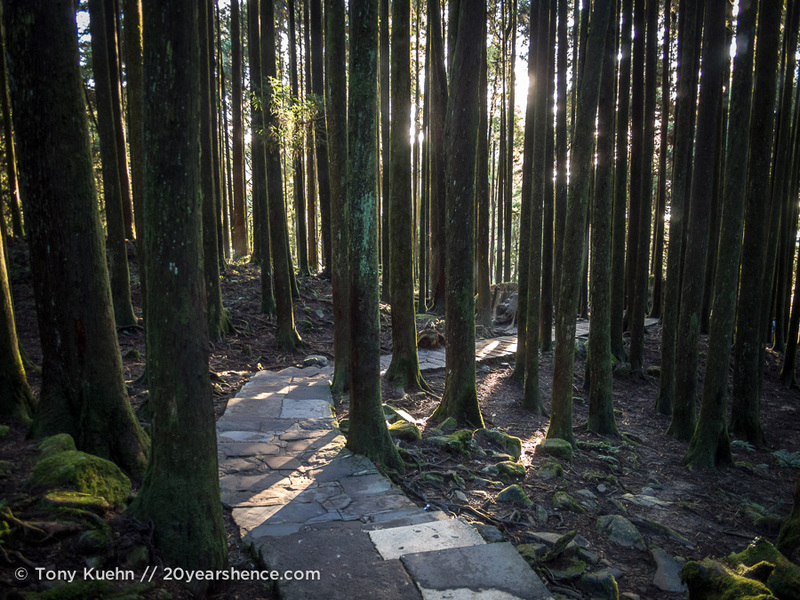 I really wish we could have explored some of the other national parks in Taiwan—by all accounts, Alishan is just one of many great forests that travelers can explore! This made my heart ache a little – I lived in Taiwan in 2007-08 and I can’t begin to tell you how much it affected me and how much I miss it. Your photos are amazing and it really motivates me to go back. I keep saying I will, but, if I keep reading your blog posts I’m going to have to be moved to action! Just looking back on our photos from a couple months ago our hearts ache for Taiwan and we were only there for 18 days! 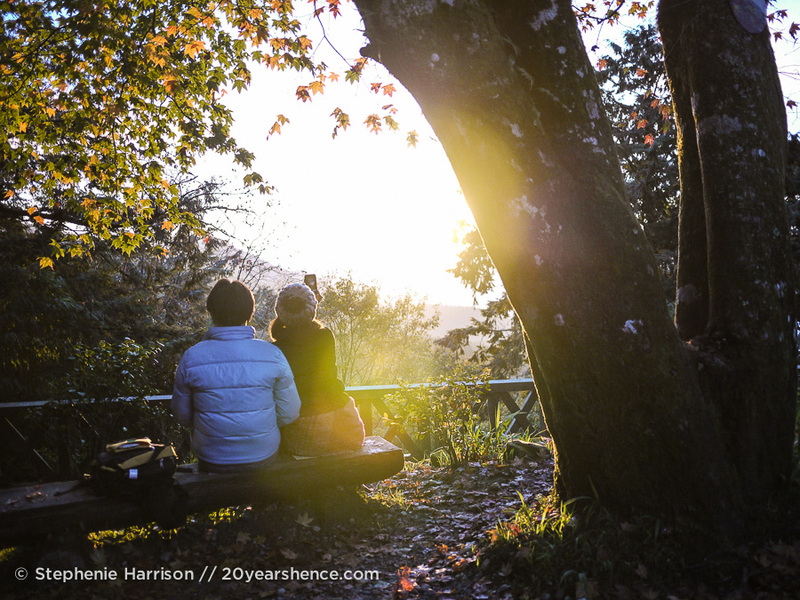 We’d love to have the chance to live there for a year or longer so we could really explore; it’s truly a wonderful country and I do hope you get the chance to return sooner rather than later! Wow! It’s so beautiful! Especially the sunset. I’d love to see it for myself! I’m a little awestruck after reading this post, so I can only imagine how you felt to truly experience it. The photos in the forest are gorgeous, but that cloud sea has me swooning! Yeah, the whole day was pretty magical, but definitely the icing on the cake was seeing the cloud sea. The colors were amazing and I couldn’t believe how much it really looked like a sea of clouds… definitely never seen anything like that before and it was truly stunning. You half expect little gnomes or something to pop out of there. 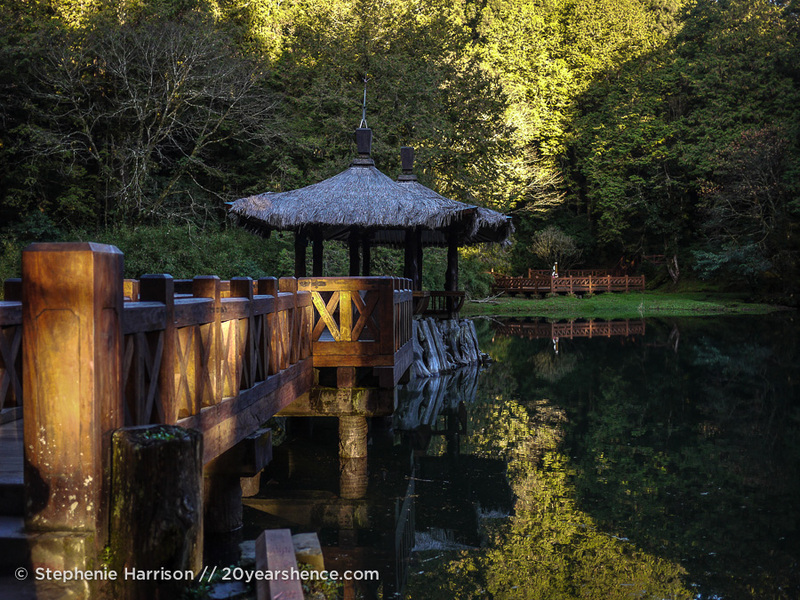 It looks pulled right out of a fairy tale. I’ve been so focused on our tasks that it’s been easy to forget WHY we’re doing all of it. This was a beautiful reminder. Thank you! To be honest, these posts are good reminders to us as well that we should never get complacent! Sometimes when traveling becomes your life you start to feel a bit inured to all the things that once would have brought you to your knees with their beauty. It’s always nice to have days that are simple but breathtaking, and yes, like something out of a fairy tale! Wonderful writing you guys, and beautiful photos. Thanks, Kim! Glad you enjoyed it! Wow…this is so beautiful. That really is a cloud sea! I know, it’s pretty incredible, right?!? 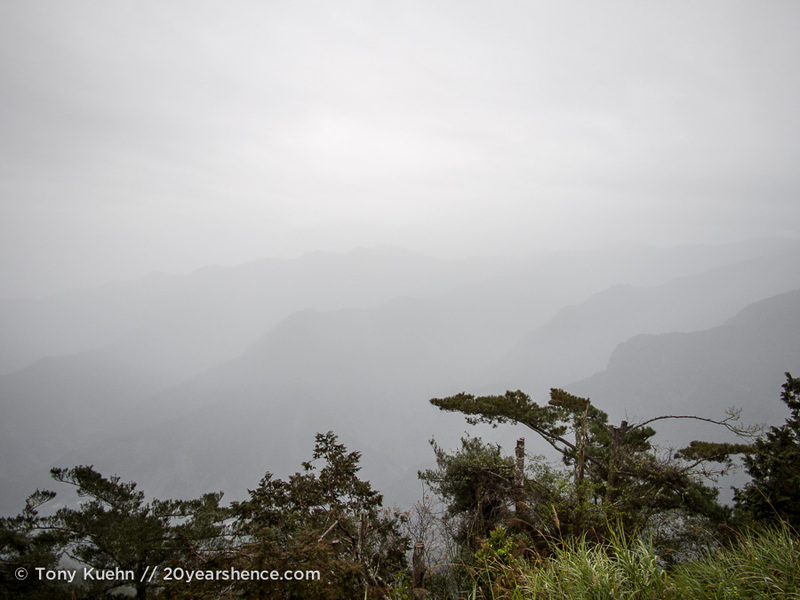 You’ve just given me flashbacks to our cloudy sunrise trek up Mount Bromo in Indonesia! It looks like the rest of your trip more than made up for that though. 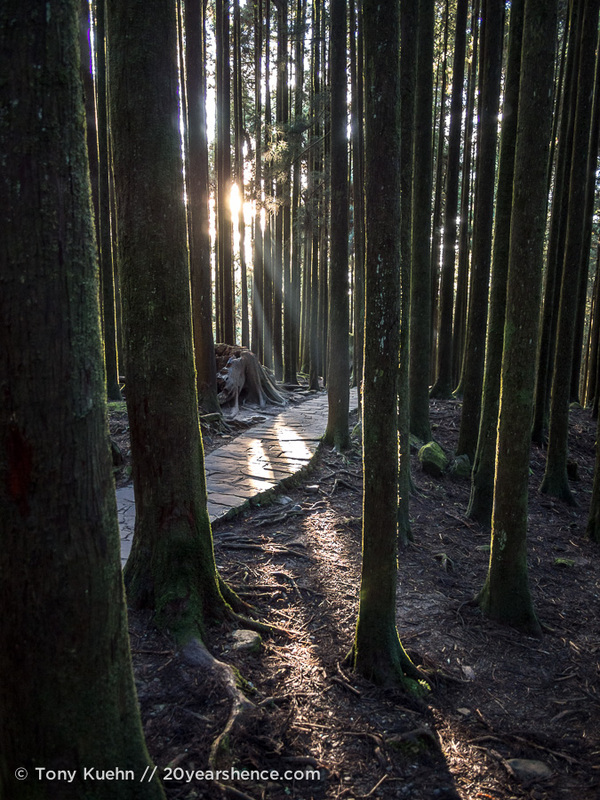 The forest pictures half remind me of New Zealand and half remind me of the jungles in Borneo that we’ve just spent the last few weeks falling in love with. 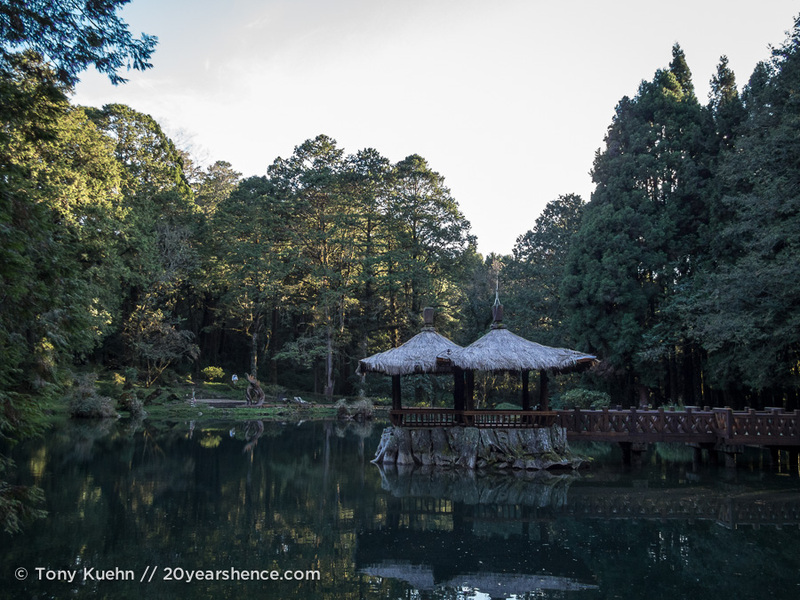 I think we definitely need to get ourselves over to Taiwan before we leave this part of the world – you’re doing a good job of showing us how beautiful it is. We have not had the best of luck with sunrises on this trip, so I suppose it’s only fitting that it was the sunset at Alishan that really rocked our world! 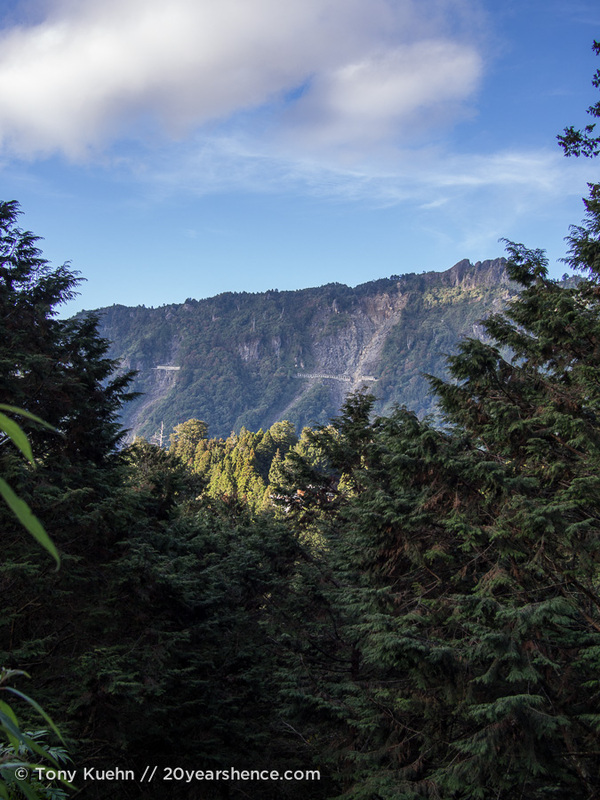 😀 The forest of Alishan felt a lot more temperate to me than the wilds of Borneo that we experienced, perhaps because it is up in the mountains, but I think I preferred that as it meant I wasn’t covered in sweat immediately upon stepping outside. 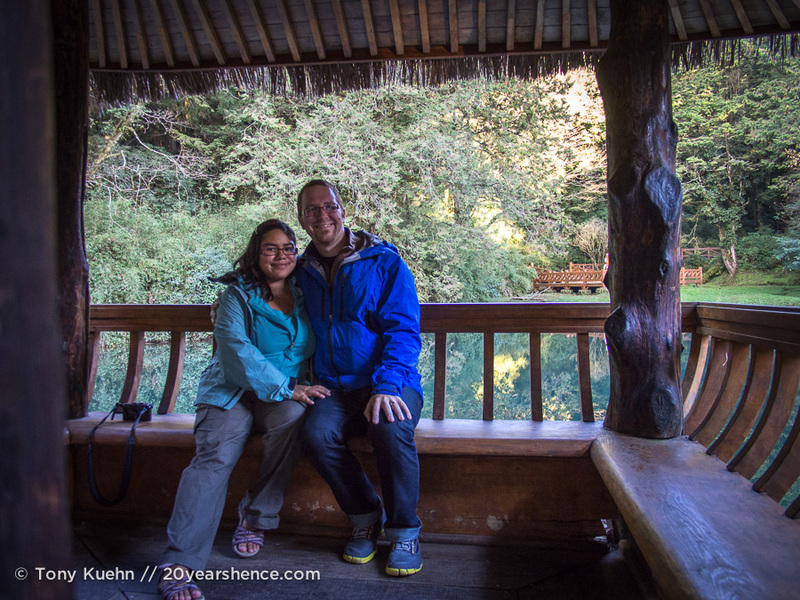 I really hope the two of you do make it to Taiwan while you’re making your way through Asia—so many travelers skip it, but I think that’s a huge mistake! I’m pretty sure you & Kim would love Alishan, so I really hope you guys make it to Taiwan at some point. It’s certainly not an arduous walk in the woods, but I guess sometimes you get gain without the pain! 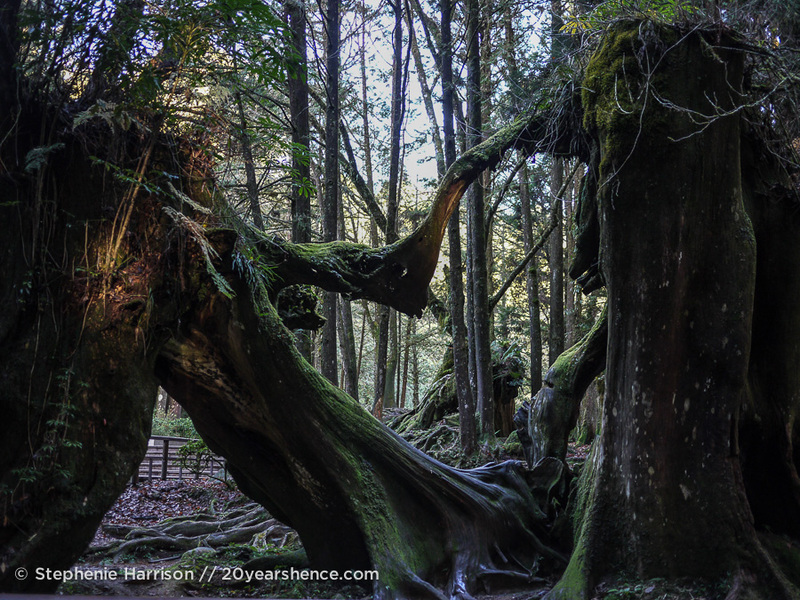 And who knows: maybe those weren’t cedar trees but actually Ents!